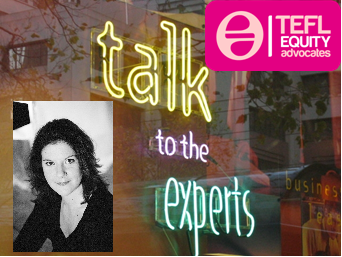 I’m delighted to share with you another great interview from the Talk to the Expert series. This time I had the pleasure to chat to Bethany Cagnol, who is the past president of TESOL France. You can find her full bio below the interview. You can tweet about this @teflequity and @tesolfrance using #TEA hashtag. Click here to read and watch the previous Talk to the Expert interviews. #TEA: 1. Could you briefly tell us more about the non-discriminatory announcement TESOL France issued? Bethany Cagnol: In 2013, TESOL France teamed up with TESOL International to launch an awareness campaign to defend the skills and qualifications of non-native speaker teachers of English. If you use our Jobs List to send out job announcements we would like to encourage you to avoid using the term “Native Speaker” in your job ads. TESOL France feels that both native and non-native speakers are fully capable of becoming qualified and excellent English trainers. TESOL is opposed to discrimination that affects the employment and professional lives of the TESOL members (TESOL Forward Plan, revised 1999) on the grounds of race, ethnicity, nationality, language background (we don’t support ads that ask for “native speakers only”), disability, health/medical condition, including HIV/AIDS, age, religion, gender, gender identity, and sexual orientation. We appreciate your efforts to join us in supporting our fellow teachers, both native and non-native speaker teachers of English. 2. Why did TESOL France decide to take a stand against the discrimination of NNESTs (Non-Native English Speaking Teachers)? The idea was initially brought up by our current president, Debbie West, after she had learned about the awareness campaign at a TESOL International Convention. The executive committee unanimously decided to take a stand against job ads that discriminate against non-native speaker teachers, especially being that many of our members, who are NNESTs, reached out to us for help in finding work in France and were turned down because employers were asking for native speaker teachers. 3. What was the reaction from the recruiters and the teachers? The reaction from teachers was absolutely fantastic – enormous support on a global scale, especially on our Facebook page. Your disclaimer supporting non-native speaker teachers is a timely reminder to employers of how excellent a language teacher can be even if their mother-tongue is not the one that they teach. The acquisition of a profound and sound knowledge of a language and the gift of communicating its mechanisms and richness in an interesting way is what makes a language teacher. Acquiring the language as a second tongue can give the teacher insights about its structure and how to pass that knowledge on to the student; the gift though, needs constant work if the teaching is remain fresh, and that’s the case whether you come from the Yorkshire Moors or the Danube Basin. However, we did get a few emails and Facebook messages from employers contesting the new discrimination policy. Needless to say, these messages made our blood boil. 4. Why do you think some employers criticised the non-discriminatory announcement and how did you deal with their criticisms? As an executive committee, we worked together to draft personalized replies to these employers. We encouraged them to speak to their clients in order to inform them of the benefits of hiring NNESTs. The majority agreed! But a few remained unconvinced, sadly. At our center, clients often specify that the trainer must be a native speaker. Given the choice between a fully qualified and experienced non-native speaker and a recently arrived native speaker with no experience, our clients choose the latter. Invariably. They say that the native speaker also brings valuable cultural baggage that a non-native speaker, who may have a mastery of the language, does not have. By disallowing the words ‘native speaker’ in job announcements, TESOL France puts the onus on the recruiter to sort incoming applications: there will be a ‘native speaker’ pile, who may get an offer; and the ‘non native speaker’ pile, who will receive a polite response. 5. Have the recruiters adopted the new regulation and have you seen any changes in the job ads? Little by little we have seen a reduction in the number of ads we receive that asks for “native speaker only.” If we do receive an ad that uses “native-speaker only” the phrase is removed. We also send an email to the employer informing them of why the phrase was removed and give them a copy of our discrimination policy. Slowly, but surely, we are getting somewhere! 6. Do you think some recruiters might still discriminate NNEST, but do so ‘covertly’ rather than ‘overtly’? 7. Could you give some suggestions to other associations and job list coordinators regarding the measures they could take to follow in your footsteps? Start with your executive committee. Decide whether you’ll use the TESOL International Position Statement Opposing Discrimination or draft a position statement of your own. Send it to everyone on your mailing list(s) and social media groups. Be prepared for lots of support, but take the time to write polite, professional and personalized replies to those who criticize your initiative. Welcome a talk on the subject (such as the one given by Marek Kiczkowiak) at your next annual conference and invite employers to attend. Publish an article about the position statement in your newsletter. Stand strong and be patient. It takes time for employers to come around, but little by little they will change the language they use to recruit teachers. 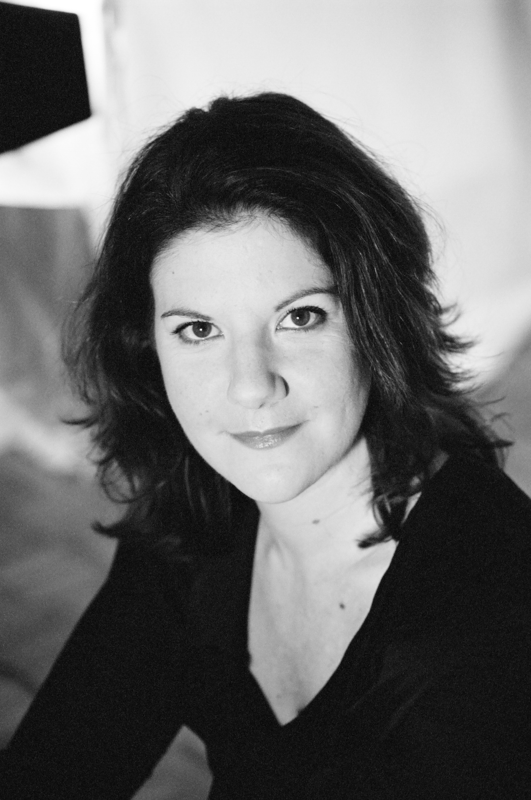 Bethany Cagnol has an MA in TEFL from the University of London, is the past president of TESOL France, current Treasurer of IATEFL BESIG and on the IATEFL Conference Committee. She teaches in various companies and universities and has written materials for Pearson, Cambridge University Press and Cornelsen.